Home / Automotive / Cars / Kyalami Motorsport Festival – Fun In The Jozi Sun! On Saturday (24th March 2018) the Motorsport Festival was held at South Africa's Kyalami Grand Prix Circuit, which pulled out all the stops to make the Motorsport Festival one for the books, and what a great day it was! One of the main attractions of the day was indeed the Polo Cup's brand new Polo 6 GTI's, as they are not officially launched as yet. The specs of the racecars here on the day include the 2.0L Turbocharged six-speed manual which packs 155Kw and a neat 350Nm of torque, put to the ground via 17" Dunlop semi-slick tyres. A new innovation will be a 'push to pass' facility, which enables the driver to briefly access an additional 170Kw of power once per lap. Initial testing has shown the new Engen Polo Cup cars' to be quicker than their previous version, but overall, the basic formula has not been changed. 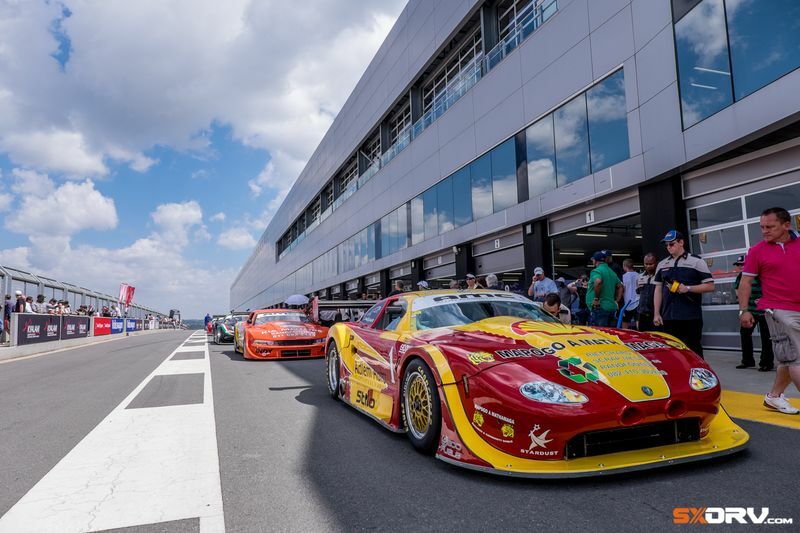 The highlight though of the Kyalami Motorsport Festival was the main race featuring the G&H Extreme Supercars, offering an outstanding spectacle of some of the finest supercars in SA tackling it out with brilliant racecars right here for locals to relish in. This class has focussed on one particular driver over the past couple of months since Charl Arangies debuted his staggering Stradale Motorsport Aston Martin Vantage GT3 in a dominating manner the last time out at Kyalami. This race featured cars such as the BMW Z4 GT3, Savspeed's M3, Porsche 997 Turbo, Greg Parton in his Drizit Environmental Lamborghini Huracan, Kishoor Pitamber's Stradale Motorsport Ferrari 458 GT3, Jonathan du Toit in his Trans Africa Racing Ferrari F430, to name but a few. Have a look at the gallery to see the full feature of the above mentioned cars and be sure to keep your eyes and ears open for the next big event, it's a fantastic day out for everyone!